The Ostia Community is a work of the Irish Province of Augustinians. Students who participate, share in the day to day life of the community in Limerick. They spend some time together in prayer and in study. They are also involved in the life of the church community at St. Augustine’s, Limerick. 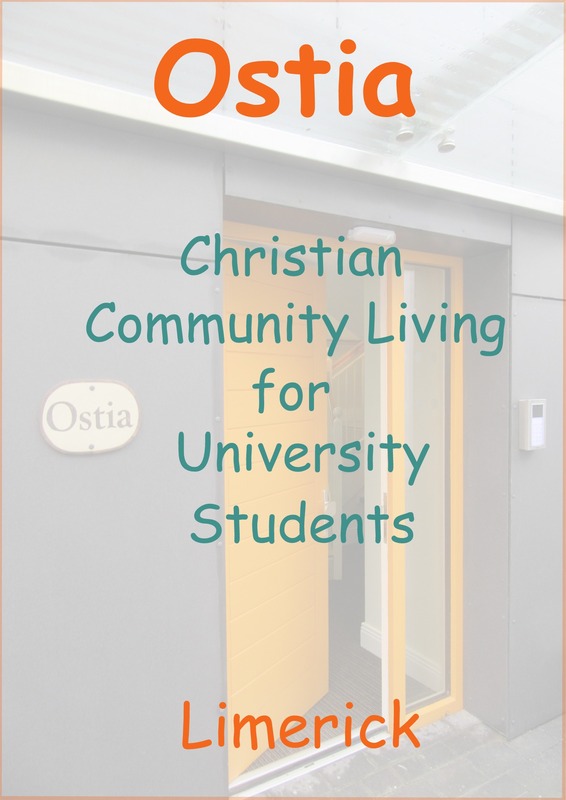 The project invites young men to live together as a Christian community during one year of their university studies. Participants commit to share the life of the community by eating together and praying together during one academic year. For more information visit the Ostia website. Alternatively download the Ostia Brochure below.